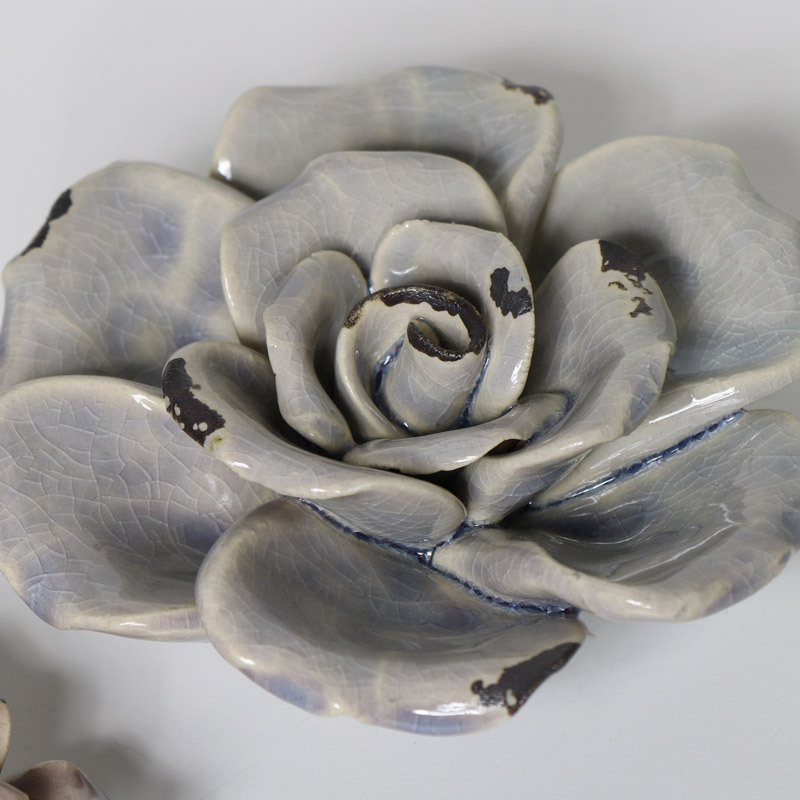 Blue Ceramic Flower Ornament - Decorative rose flower ornament with faded blue crackled glazed for shabby chic home decor display. Charming and decorative, this Blue Ceramic Flower Wall Plaque adds a touch of shabby chic to a room. Beautifully detailed with graduated colour fading in a crackle glazed finish. Perfect Mother's Day gift. 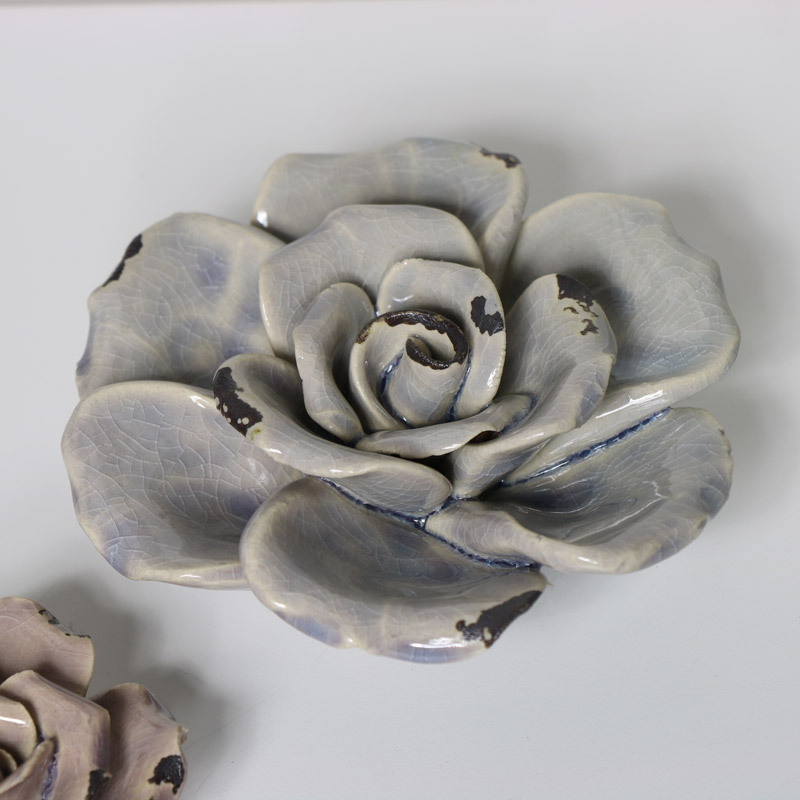 Blue Ceramic Flower Ornament - Decorative rose flower ornament with faded blue crackled glazed for shabby chic home decor display. Charming and decorative, this Blue Ceramic Flower Wall Plaque adds a touch of shabby chic to a room. Beautifully detailed with graduated colour fading in a crackle glazed finish. Perfect Mother's Day gift. Blue ceramic ornament with crackle glazed finish. Take a look at our growing range of home decor accessories. Find that perfect gift for friends and family.